Posted last month to Instagram, his dance has been watched over 1.3 million times. 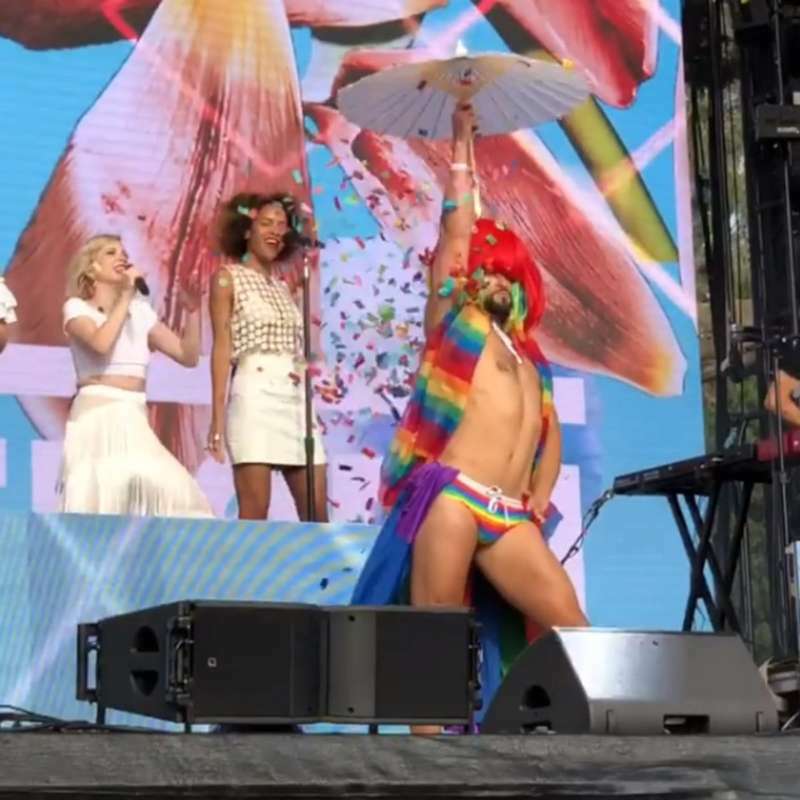 In the original video, he pulls off a series of wigs to the beat, culminating in a rainbow wig — which matches his rainbow underwear, cape and towel. The video is majestic. When Kanemura takes the stage, the crowd goes wild, and you can tell he’s really into it. In fact, he’s so into it, he accidentally threw his fan across the stage. For a split second, you can see the surprise on his face, but Kanemura’s a true professional and plays it off as if he always intended to do that. Which rainbow wig performance of “Cut to the Feeling” do you prefer? The original or the live-on-stage version with Carly Rae Jepsen? Featured image from Mark Kanamura’s Instagram.